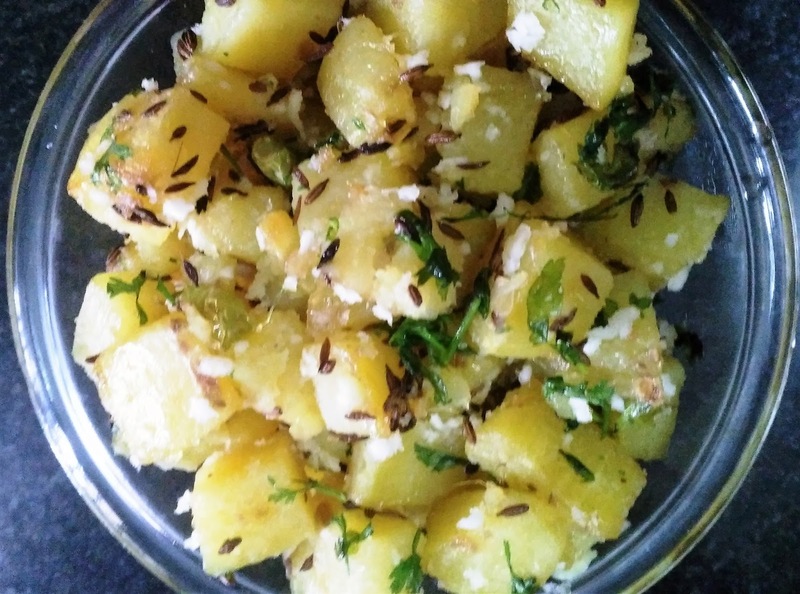 Very simple & tasty sweet potato bhaji !! There are different colours in sweet potato. In India it is available in white colour. Nutritional value of sweet potatoes as highest among several other foods. It is very healthy. Salt : 1/2 tsp or as per taste. 2. Add cumin seeds when ghee becomes hot. Add hing. 4. Add salt & sugar. Mix properly. 5. Cover the pan & cook for 5 minutes. Sweet potato cooks early. 7. Open the lid & stir gently. If not cooked again cover for 2 minutes. 8. Add fresh coconut & coriander . Mix properly. Serve hot. This bhaji can be served along with Vari chawal or sabudana khichdi.